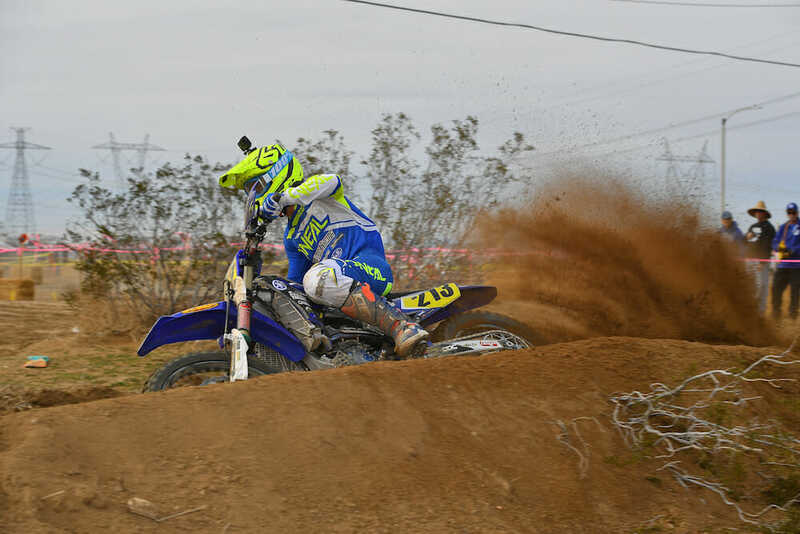 The maiden FMF AMA Grand Prix National Championship (formerly Big 6) got underway in Adelanto, California, January 19-20, and the first winner of the new race series was Justin Seeds (Purvines Racing Yamaha). Seeds and defending champ Trevor Stewart (Johnny Campbell Racing/Honda) both wanted to win the first-ever AMA GP National badly, and they battled hard for it in the 90-minute race. Stewart was leading it with less than 30 minutes to go when Seeds saw an opening and went for it. He got around Stewart, sprinted to the finish line and took the win. Third overall went to privateer rider Derek Kelley aboard a Honda. Eric Yorba (KTM) and Mason Ottersberg (Beta) rounded out the top five. In Pro2, Tyler Lynn (Yamaha) took top honors, followed by Willy Simons (Yamaha) and Preston Campbell (Honda). Ciaran Naran (KTM) and Shane Logan (Husqvarna) filled out the top five in class.